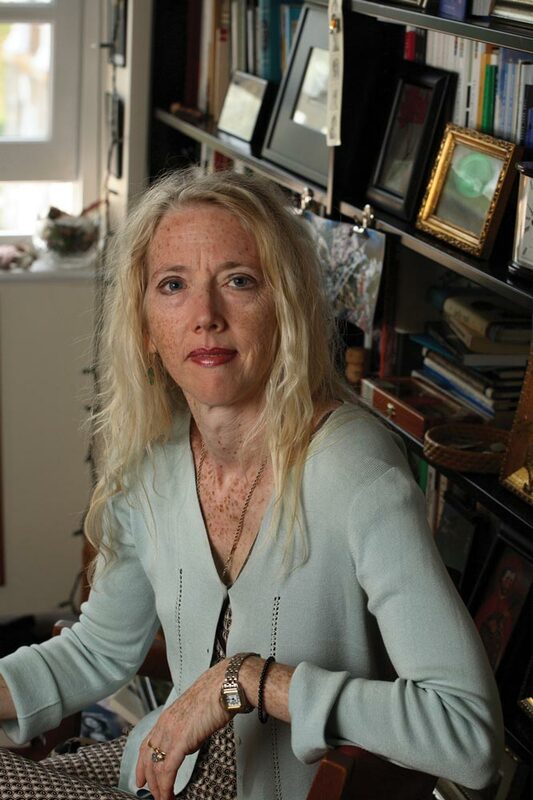 Lisa Russ Spaar (Col ’78, Grad ’82) is a poet and UVA professor of creative writing. Her upcoming books are Satin Cash: Poems and All That Mighty Heart: London Poems. Goodnight Moon, the iconic mid-20th-century childhood picture book/poem by Margaret Wise Brown and hauntingly illustrated by Clement Hurd. Though I encountered the book first as a child myself, I became re-acquainted with it when my firstborn, at age 3, became obsessed with the book and wanted me to read it aloud to her every night for over a year. As a chronic insomniac and poet, and as a middle-aged mother of an emptying domestic nest, I find that I’m still affected by the book’s dreamy, talismanic, vesper-like litany of all the things we name, honor and protect by wishing them a good night before we sleep. The Master Letters of Emily Dickinson (edited by R.W. Franklin) are not familiar to many lay readers of poetry. These three extraordinary documents, discovered after Dickinson’s death and thought to be perhaps part of a larger correspondence, are written in her hand to someone she calls “Master.” Though there is much speculation about the identity of the recipient of these missives, and whether the letters were ever actually posted, there can be no doubt about the startlingly beautiful and tormented poetic mastery of their maker. I always jump-start each summer by reading or rereading a Shakespeare play, so I’ve just finished Romeo and Juliet, which I haven’t read since 1985. I was struck this time by Juliet’s magnificence—by the ardent, intrepid power of her voice, sexuality and volition. I’m reading work by some of my colleagues—Sydney Blair’s novel Buffalo; Stephen Cushman’s new book of poems, Heart Island; Charles Wright’s Littlefoot; and Chris Tilghman’s The Way People Run, as well as new books of poems by UVA graduates Don Platt, Kyle Dargan, Larissa Szporluk and Mary Szybist. For fun, I’m rereading Franz Kafka’s Blue Octavo Notebooks, Anne Carson’s Decreation, and Ernest Hemingway’s For Whom the Bell Tolls. I recently finished reading Iain Sinclair’s London: City of Disappearances, an edited anthology that excavates the “fugitive scraps” of London’s shifting, unvoiced histories and landscapes. Because I am a reading poet who finds inspiration in other texts for my own work, I am savoring, in relation to a printmaking/poetry writing project, Strange Blooms: The Curious Lives and Adventures of the John Tradescants, as well as the genre-defying Mr. Wilson’s Cabinet of Wonder: Pronged Ants, Horned Humans, Mice on Toast, and Other Marvels of Jurassic Technology by Lawrence Weschler. In one way or another, every book I read changes me. Whether I’m reading Virginia Woolf, the Brontës, or the most recent issue of Saveur, I’m grateful for the ways in which reading allows what Sven Birkerts calls “the delicious excavation of the self through another’s sentences.” Every book I read, like everything I attempt to write, alters my perception, and deepens or challenges my understanding. As a mother of three with a full-time job, I’ve learned to read just about anywhere. I try not to read while driving, but do read at stoplights and in parking lots. I like to read near a window and with at least two, preferably three, writing surfaces nearby—one for the computer, dictionary and thesaurus; one for any scholarly note-taking; and one for my own creative responses.